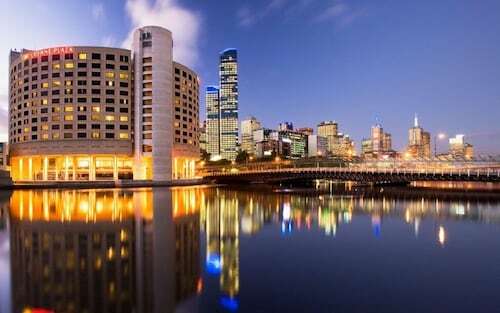 Located in Melbourne Central Business District, this apartment building is within a 10-minute walk of The District Docklands, Marvel Stadium, and Melbourne Star Observation Wheel. 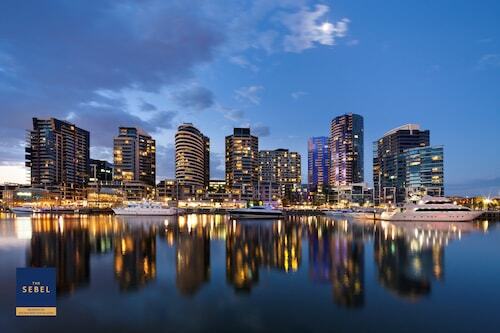 Melbourne Convention and Exhibition Centre and Queen Victoria Market are also within 1 mi (2 km). North Melbourne Station is 17 minutes by foot and Southern Cross Station is 20 minutes. 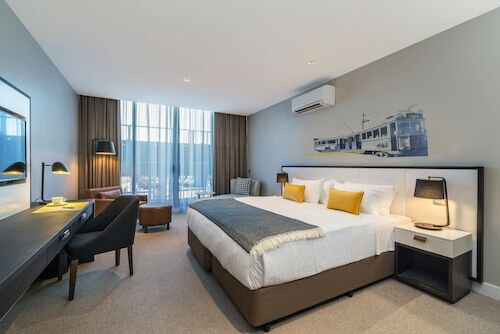 Located in Melbourne Central Business District, this hotel is within a 10-minute walk of Melbourne City Marina and Melbourne Star Observation Wheel. Marvel Stadium and Queen Victoria Market are also within 2 mi (3 km). North Melbourne Station is 20 minutes by foot and Southern Cross Station is 24 minutes. Etihad Stadium hosts a great range of big events. You're unlikely to have any trouble finding it. It's situated in Melbourne, the state capital. 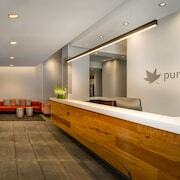 Your hotel choice can mean the difference between a regular vacation and a fantastic one. 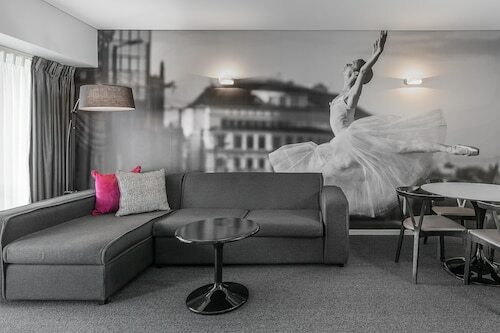 With as many as 72 within a kilometre of Etihad Stadium, finding your ideal place won't be a drama. The AKOM Docklands, Docklands Private Collection of Apartments - NewQuay and Docklands Executive Apartments are definitely worth taking a look at. If you're visiting on a limited budget, you'll be delighted to find out that there's a diverse selection of wallet-friendly accommodation options. 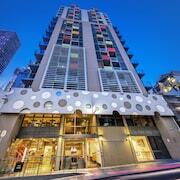 The Nomads Melbourne and the Urban Central Accommodation - Hostel are among your best choices. You'll find them a kilometre and a kilometre away, respectively. Chill out at one of the many high-end hotels close by. 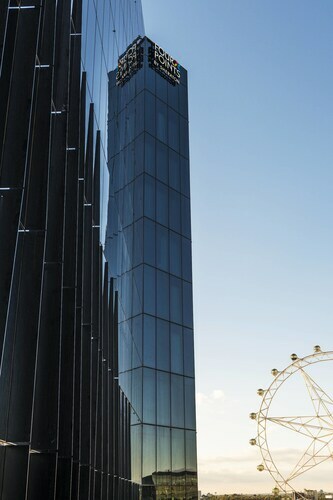 The Crown Towers and the Langham, Melbourne, a kilometre and 2 kilometres away, come highly recommended. If you're exploring around Etihad Stadium and feel like a coffee, head to Degani - World Trade Centre. When the tummy starts to rumble, check out the menu at Vibe Savoy Hotel. Craving a glass of wine? 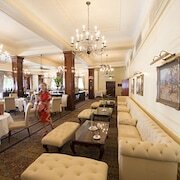 Quest Grand Hotel Melbourne is your top option. Gaze at the water meeting the horizon as you stroll down Central Pier. Victoria Police Museum is a nice place to spend a rainy morning or afternoon. If you've got some spare pennies in the piggy bank, go to DFO South Wharf to pick up some bargains and a treat for yourself! Learn about the area's water transport heritage via stimulating displays and artefacts at Polly Woodside. Have a glance at Rialto Towers, an impressive aspect of the skyline that is difficult to miss. Etihad Stadium is only 0.4 kilometres from Southern Cross Station, the nearest station. Why not book a ticket and jump on the train? 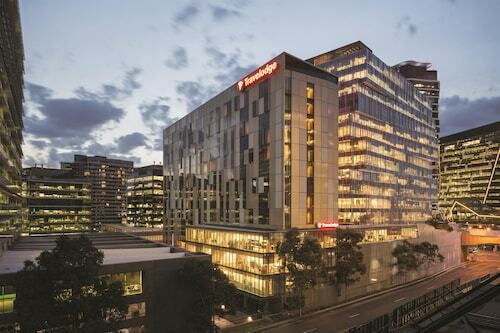 If the day is pleasant, why not walk from Flagstaff Station, another handy terminal, instead? It's a kilometre away. How Much is a Hotel Room in Marvel Stadium? 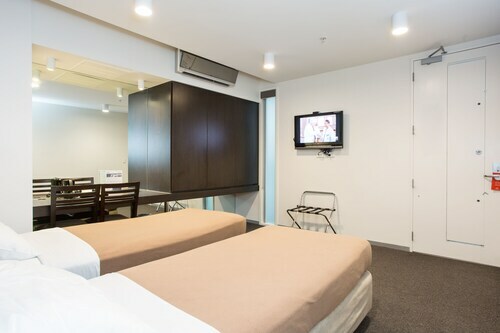 Hotels in Marvel Stadium start at AU$72 per night. Prices and availability subject to change. Additional terms may apply.